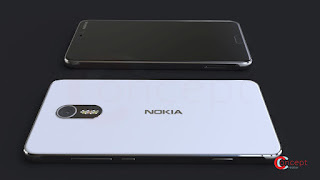 As per leaks, Nokia P1 will feature minimal bezels on the sides. 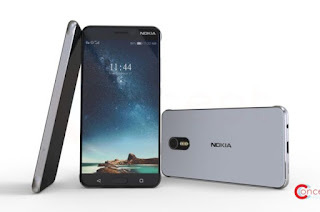 There will be hybrid SIM slot at the bottom part of the left side of the handset. 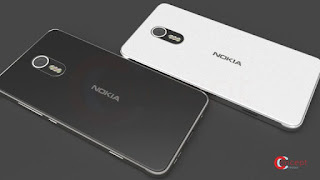 The primary snapper of the device is coupled with a triple-LED flash, while the Nokia logo is located at the center. On the right side, the phone will get power button and volume rocker. At the bottom, it will get a USB Type-C port, a speaker, and a 3.5mm headphone jack. 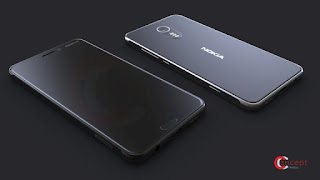 Nokia P1 will feature a 5.3-inch display with Gorilla Glass Glass 5 which will be mostly QHD display according to earlier leak powered by Qualcomm's latest chipset Snapdragon 835 processor with 6GB of RAM and 256GB of internal storage.On camera it is expected to come with 22.6 MP rear camera is expected to be Zeiss-certified And IP57-certified dust- and water-resistant. The fingerprint scanner on the right side, and a 3500 mAh battery with quick charging capabilities.The device runs on Android 7 Nougat out of the box.